Marketing professionals often ask me about email and data appends. Both can help grow new email subscribers and improve the information about existing ones. In this article, I’ll describe how email and data appends work, and how they can improve your email marketing campaigns. An email append is simply the process of adding a valid email address to a contact in your database. These contacts typically fall into one of four categories. Contacts for which you have no email address but you have their first and last name and physical address. 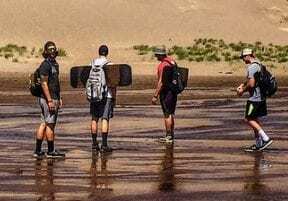 Contacts with old or outdated email addresses. Contacts that have become dormant and you are not sure if their email address is valid. Contacts that are not responsive to the email address on file, but they may have a more current one. 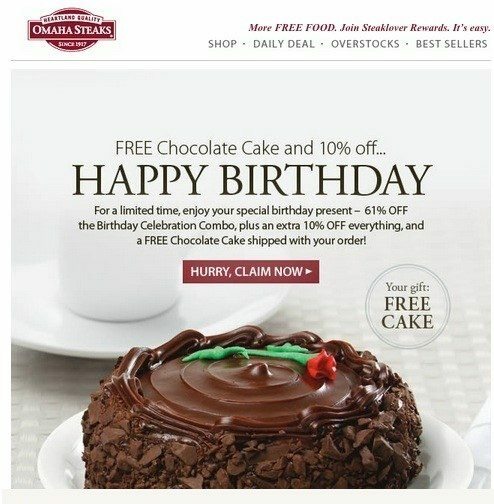 For Omaha Steaks to send this “happy birthday” email, it first had to append a subscriber’s birth month to her data file. Other data points — age, income, address — can be added and used for segmentation, personalization, or other email-marketing purposes. You can also use the data for analysis, to better understand demographics of your customers. 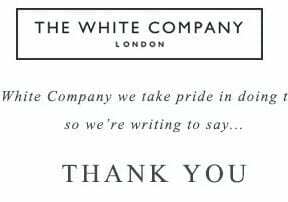 Have not opted out of any email programs from your brand. To conduct an email append, first establish the segment of data to add email addresses. Run an email hygiene report to identify the segments. Then, conduct a verification to see if the email addresses on file are current and active — flag records that are not. Next, find a reputable company that offers email verification and append services. Consider using multiple providers for additional records or contacts, assuming that their data does not materially overlap. The provider will then process the data and assign the email addresses to those that are missing. Depending on the data freshness and the provider, the percentage of available addresses will fluctuate. Typically most append projects will range from 10 to 30 percent, meaning new email address are added to 10 to 30 percent of the file. After that, send a “permission pass” email to all of the new email addresses. 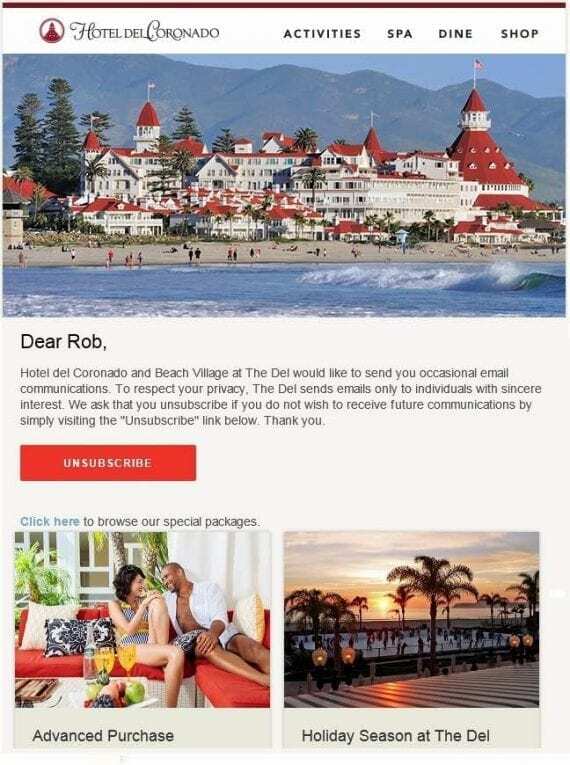 This “permission pass” email, from Hotel del Coronado, asks the recipient to unsubscribe if not interested in future communications. A “permission pass” informs contacts that you will use their new email address. It also provides the option to unsubscribe. This initial communication is important. It identifies undeliverable emails and facilitates unsubscribes. Once the permission-pass process is complete, add the remaining, updated email addresses your campaigns. Data appends can be done for individuals or households. For individuals, you simply look for an exact match of that person. For households, you check for other members of that household if your list contains no individual matches. For example, if your email address for Bill Smith is undeliverable and there is no new email address available for Bill, a household check may identify an address for his wife. In that case, you must decide whether contacting a spouse is appropriate, given the business or product. Most appends are for individuals.